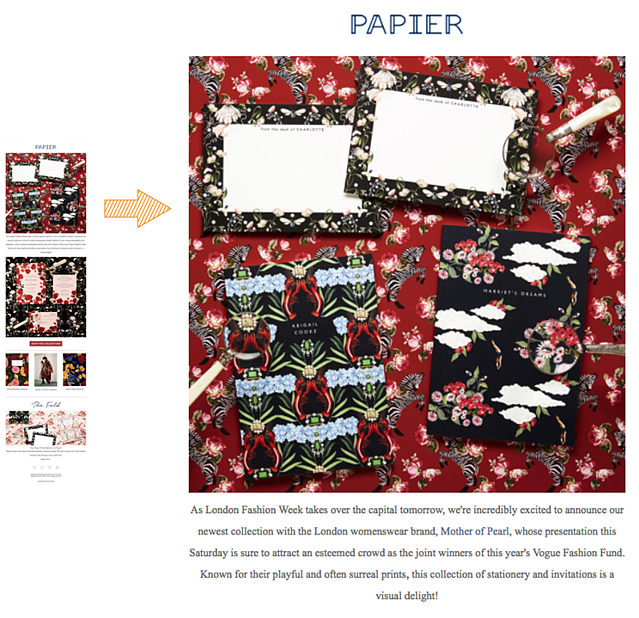 Personalised cards and stationery brand Papier sent us the following email the day before LFW kicked off. 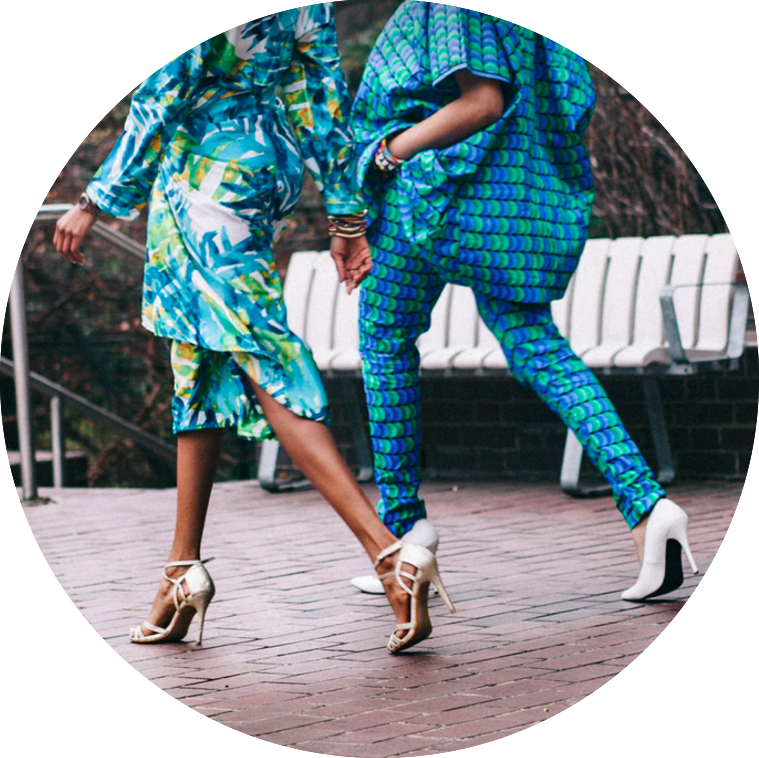 Looking at the email's copy, the brand references the sartorial event as a way to announce its collaboration with contemporary fashion label and Fasion Week favourite Mother of Pearl. Keeping the copy short, the image-heavy email manages to generate excitement around both the catwalk show and the gorgeous, customisable notebooks. 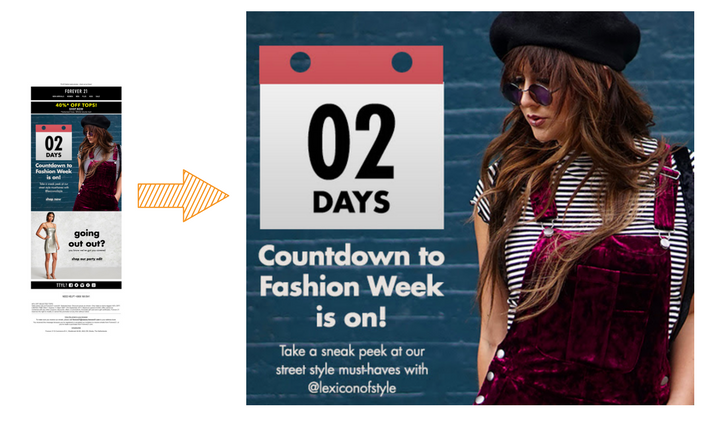 The retailer is known for its majestic marketing (and will, incidentally, be talking at this year’s Lifecycle conference - you can grab your tickets here)—managing to consistently nail copy and stunning imagery alike. 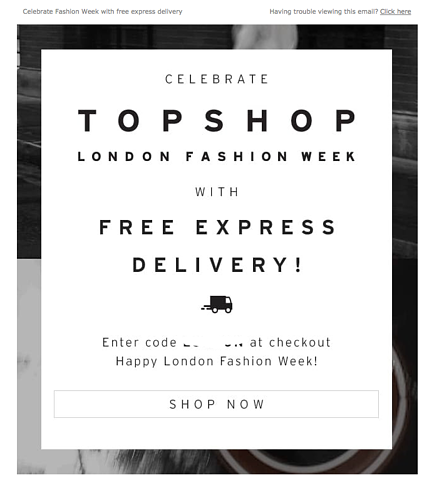 Below are two email examples we received from Topshop: one including an edgy GIF inviting Fashion Week lovers to “Discover More” and another marking the event by offering complimentary express delivery. 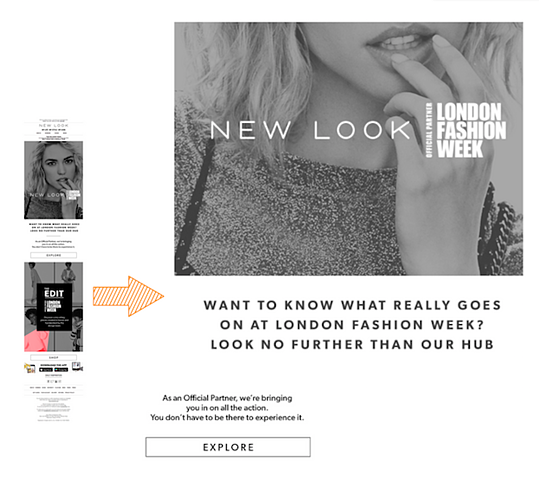 Once clicked, the GIF’s CTA in the first email took a subscriber to a landing page bursting with Fashion Week content. Not only did the retail giant offer information about its own show, but also offered an A-Z of the whole event and collated tips on "what to wear and where to go”. Again, a bit more personalisation and/or subscriber interaction could have been cool for both of these two emails; for example, asking a recipient if they would be attending (with a Yes or No CTA) and catering correspondence accordingly. This second email really highlights the sense of exclusivity that has always been associated with Fashion Week, offering to bring the action to its subscribers and pointing out you no longer have to be at the event to experience it. 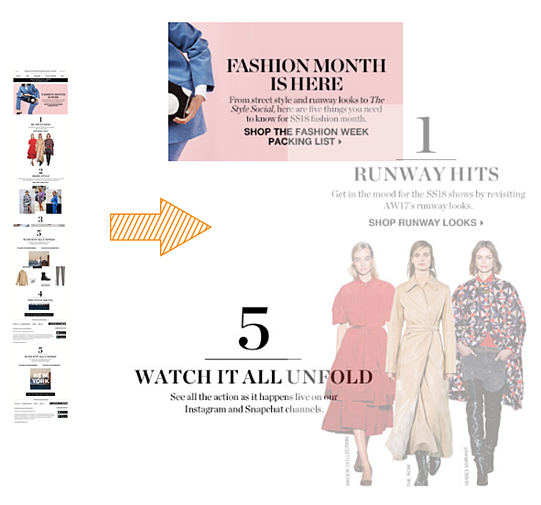 We love this five-step guide to Fashion Month, sent to us from London-based luxury retailer MATCHESFASHION.COM. From the educational and genuinely useful content to the super cool design that’s reminiscent of fashion editorial seen in the likes of Vogue, this is the sort of email you feel bad deleting. 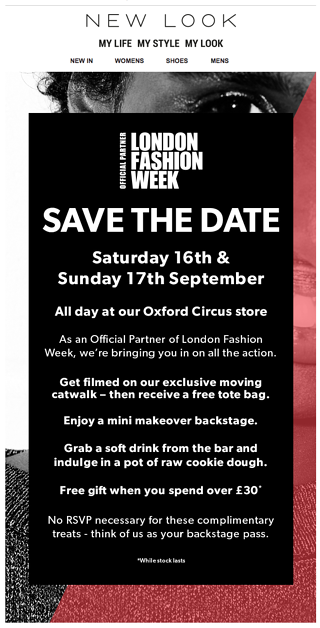 As this last email proves, you don’t have to be part of Fashion Week to get excited about it and celebrate it. If it’s something you think your target audience might be interested in, you have nothing to lose by getting involved. In the world of ecommerce, it’s important to keep your eye on the ball and be constantly on the lookout for news-hooks or events that could make your email marketing more relevant.